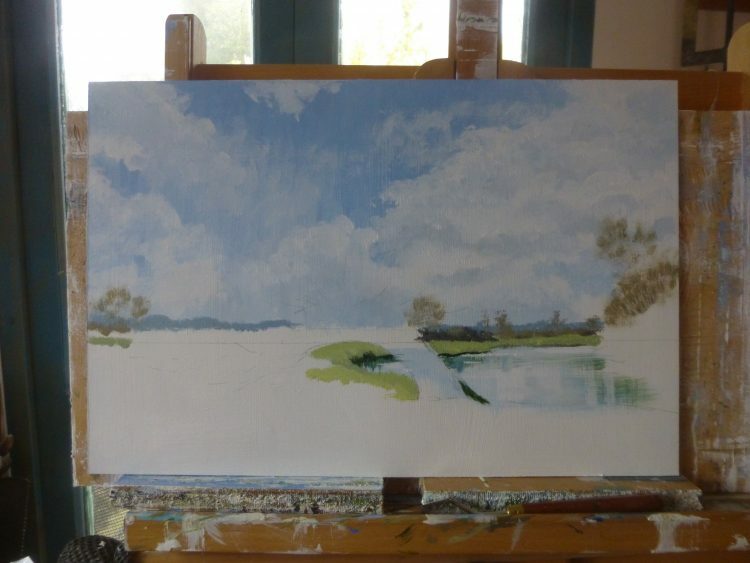 At last – I had time this afternoon to make a start on the third painting in my Four Seasons on the Stour project! It has been a very busy Easter. Graham and I were involved with singing for All Saint’s Maldon’s mystery play – Shoreline 5 by Revd Canon Dr Graham Blyth – which was brilliant, and very moving. Then I sang for all the Easter services there – Maundy Thursday, Good Friday, Easter Saturday evening and Easter Sunday morning. I think my Land Rover knows it’s own way to Maldon now! One day while I was over there I popped into the Haylett’s Gallery in Maldon High Street – and received the good news that Sally Patrick would like 8 paintings for the Summer Exhibition! Great!! Then, back to Violin lessons this morning after my Easter break. 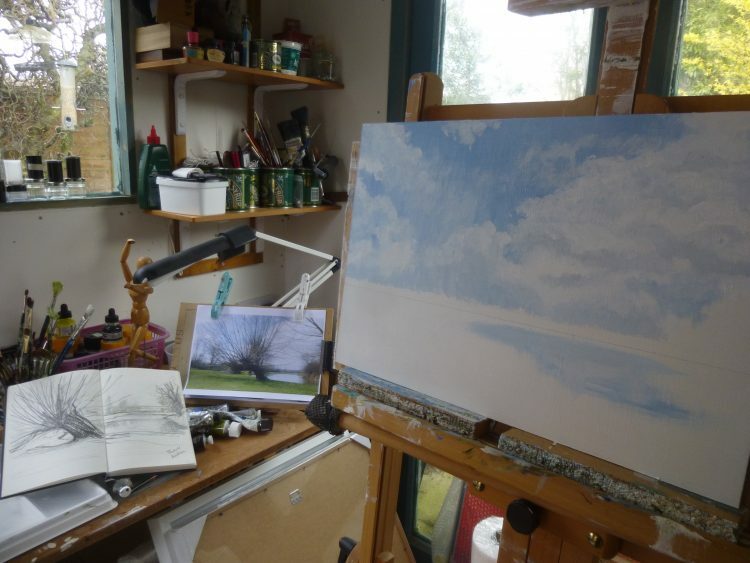 But THEN some time in my studio this afternoon . . .
A long way to go still!